Produktinformationen "Hausnummer „Extra“ aus Beton"
Der Rat für Formgebung präsentiert vom 12. bis 17. April 2011 seine Ausstellungsreihe Design Deutschland 2011 zur Mailänder Messe FuoriSalone. Mit der Kombination aktueller Produkte etablierter Marken und unveröffentlichter Prototypen deutscher Nachwuchsdesigner zeigt die aktuelle Schau vor allem eines: Die drei Attribute Funktionalität, Klarheit und Unaufdringlichkeit prägen deutsches Design – gestern, heute, morgen. Die internationale, vom Rat für Formgebung kuratierte Wanderausstellung Design Deutschland 2011, die nach Mailand auch zur ICFF in New York und zur BODW in Hongkong zu sehen sein wird, geht ganz auf die charakteristischen Merkmale des Produktdesigns starker Unternehmensmarken aus Deutschland ein und verdeutlicht dabei dessen kulturellen sowie wirtschaftlichen Mehrwert. 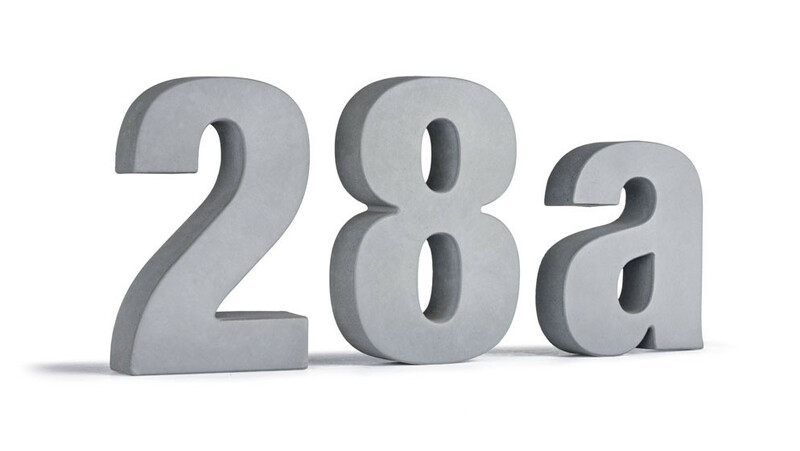 Durable, weatherproof and of high quality, house number “Extra” guides the way. “Extra” is manufactured of special concrete. 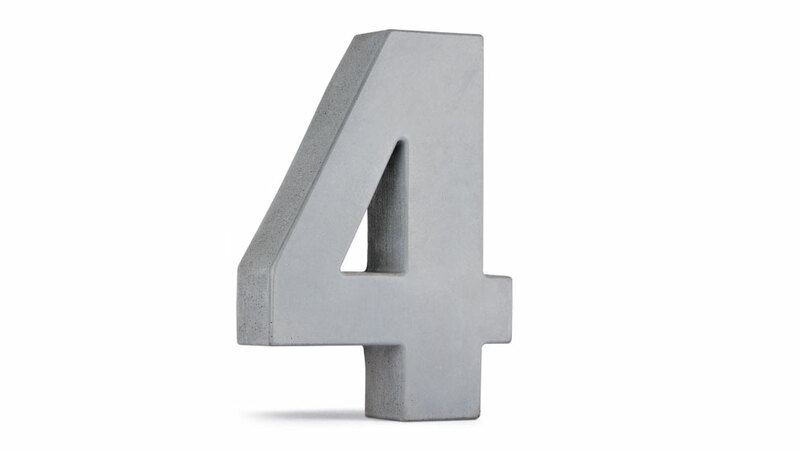 Its precisely shaped type face resembles the Swiss type face Helvetica. 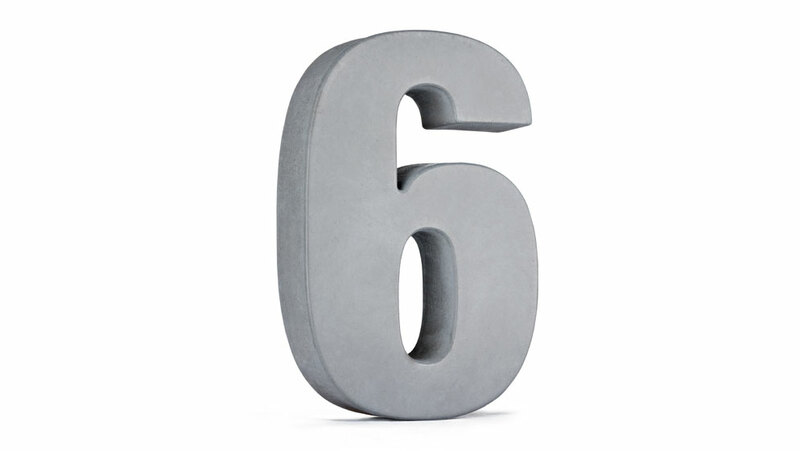 Your individual house number comes with assembly instructions and an installation kit. The straightforward installation is guaranteed by the enclosed drilling template. 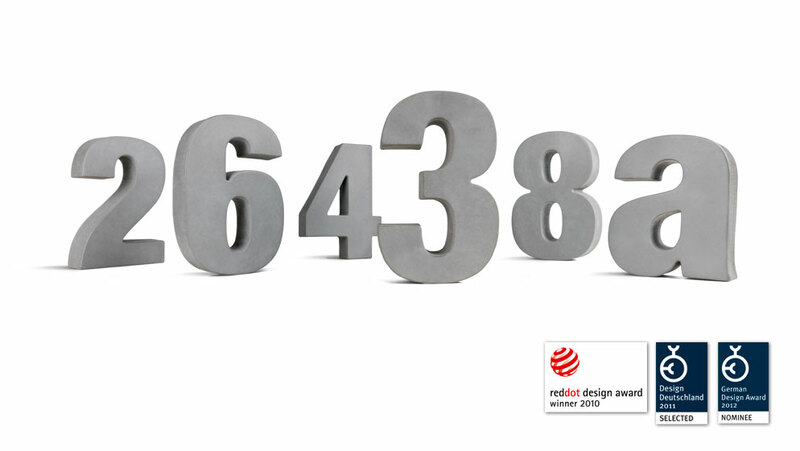 House number “Extra” awarded the red dot design award. With its outstanding and innovative design, “Extra” convinced the jury of one of the most prestigious design awards worldwide. 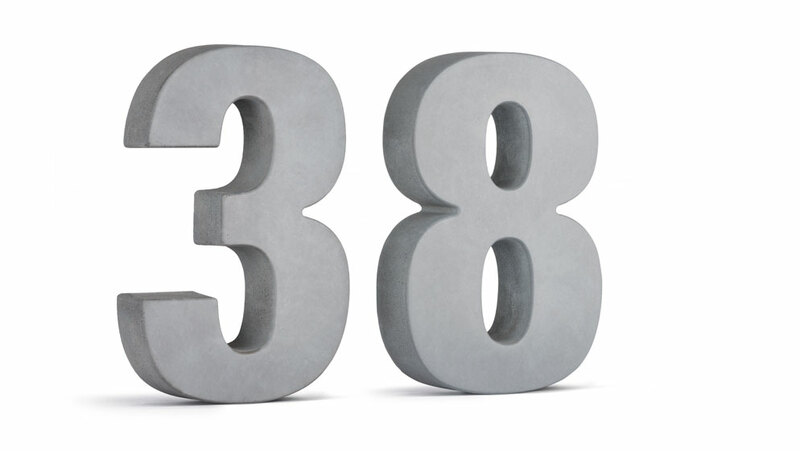 In 2010, Jochen Korn’s house number “Extra” was awarded the red dot award: product design for highquality design. Between the 12th and 17th April of 2011, the German Design Council presented its exhibition series Design Deutschland 2011 at the fair FuoriSalone in Milan. By showing both current products of established brands and previously unpresented prototypes by young up-and-coming designers, the exhibition shows that contemporary German design is dominated by functionality, clearness and unobtrusiveness. The international touring exhibition Design Deutschland 2011 is curated by the German Design Council and will also be seen at the ICFF in New York and the BODW in Hongkong. It focuses on the characteristics of product design and illustrates its cultural and economical value. Weiterführende Links zu "Hausnummer „Extra“ aus Beton"